This article explains common signs of blue emission side effects and how blueblockers will help. As more people spend time on their computers, laptops, cell phones and other electronic devices a modern day epidemic is emerging. Andrews et al, 2015 , reported that adults between ages of 18 and 33 interact with their phones an astounding 85 times a day (1). In 2003, the U.S. Bureau of Labor reported, 77 million people were using a computer at work (2). Now, that’s a lot of exposure to devices which translates to an excessive exposure to blue-light! 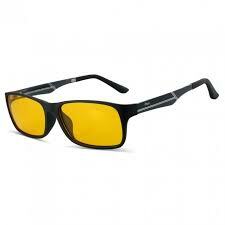 We’ll also a review popular Blueblocker glasses to help you select the best fit for you. Blue-light emissions from devices results in eye strain that leads to poor posture. Research reviewed by Gianluca Tosini, Ian Ferguson and Kazuo Tsubota show that blue light between 400 and 450 nm causes retina damage and that blue light between 450 and 470 nm suppresses the production of melatonin (3). Check out more about Eyestrain & Posture here. 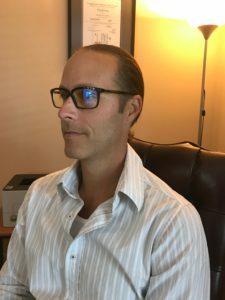 There are four basic things to consider when shopping for the right pair of blueblocker glasses. The first thing to consider is whether or not you need a prescription. Those who need prescription glasses to read will enjoy the all in one feature of blue blocking and prescription. It avoid s looking like a fly with two pairs of glasses on. Second, feature which is very important is the percentage of blocking provided. Gamers who want to experience a greater range of color spectrum may chose a lower blocking where as someone who isn’t worried about color distortion can use a solid 60-65% blocking. Style. Some blueblocker companies offer a wide range of frame options. There are frames that fit your preference and style, for men and women. Lastly, price. Blueblockers are such a great investment in your health they are worth the price. Competition is apparent in this field so prices are overall very reasonable. The two main factors that will increase what you pay is the adding of prescription and the style of frame selected. Reduction of blue-light emissions is important for your health. Wearing blue-blocking glasses is an effective way to reduce eyestain, fatigue and improve mood. PosturePossible.com researched some of the more popular brands on the market. We ranked them by style, versatility and effectiveness. I was recently gifted a pair of Prospek glasses and I would say this is my favorite of all blue blockers I’ve reviewed so far. They block 50% of blue-light which is only 10-15% less then most blue-blockers so the difference in color perception is much less. I found using Prospek to be easier on my eyes then glasses with 65% filtration. Uvex Skyper offers the simplicity of a uni-lens with practicality as its appeal. 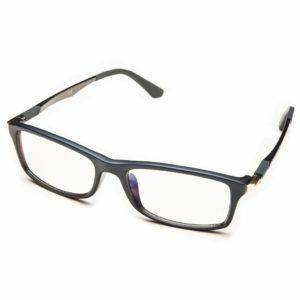 Wraparound design offers peripheral protection, molded-in nose bridge and browguard, adjustable temple length and inclination. Uvex Skyper has an easy and economical lens replacement system. Frames have a lifetime guarantee. Made in the USA. Swanwick Sleep™ was founded in Los Angeles California by Australian-born entrepreneurs James and Tristan Swanwick. 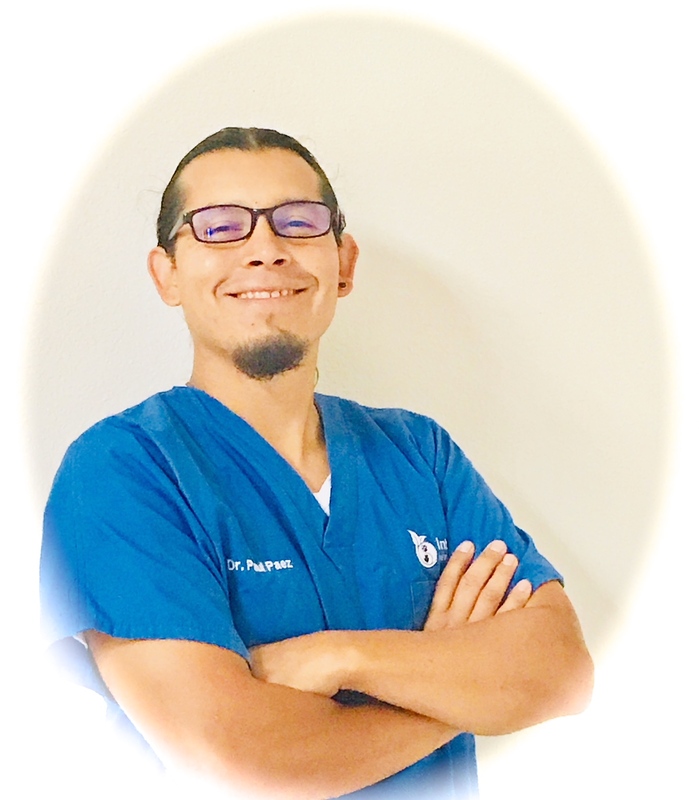 Their mission is to inform and educate the public on the crucial importance of quality sleep to maintain good health and optimal life performance. The company has researched and developed a series of innovative sleep products. Haus GUNNAR lenses are carefully formulated to filter and balance light while absorbing 65% of (HEV) blue light emitted from digital devices. 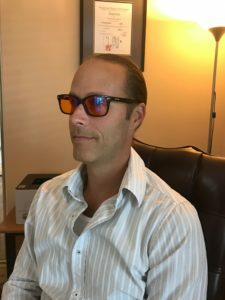 By designing lenses to shift the color spectrum for visual efficiency, the GUNNAR amber lens takes artificial light and precisely tunes it to the physiology of the eye. The crystalline lens only blocks about 10%. Blocks 65% of blue light from digital screens. There is a slight 0.20 magnification in “Haus” which tricks the eye into thinking it is looking far away. This relaxes the eye so it is not straining. Go to their shop page here. 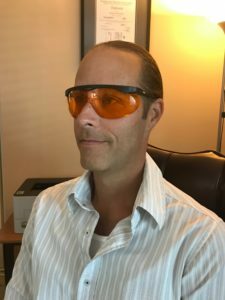 Duco designs these computer glasses with amber tinted lenses. Reported to filter 90% High-Energy Blue Light to minimize Digital Eye Strain caused by harmful blue light emitted from digital screens. Blocks 90% of blue light from digital screens.